The haunted attractions industry has always brought terror to the masses, but 2016 introduces new experiences like never before. Interactivity is making guests the haunters rather than the haunted, and technology is at the forefront of making that happen. Just as technology is moving into the virtual reality space, the popular October holiday has morphed into so much more than “seeing and screaming.” Now, guests can feel like they are actually inside a horror movie thanks to interactive theater, immersive digital experiences, and more. Here are seven haunted attractions from around the nation that stand out for Halloween 2016. Delusion has repeatedly been called L.A.’s top haunted attraction, and it takes scaring guests to another level. 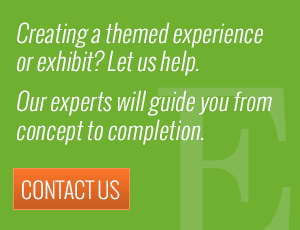 The experience’s founder, John Braver, prefers the term “interactive play” to “haunted house,” and for good reason. Guests are not just walking through frightening scenes of gore—they’re actually part of the horror itself. This year, each guest plays a role at Delusion for the story “His Crimson Queen.” His Crimson Queen is the story of Selene and the secret of her true calling. Referred to as a “moving play,” Delusion uses Hollywood-style effects to create an immersive and chilling experience. It features an original score and a blend of actors and stuntmen who really make this attraction come alive. Guests participate in the entire performance, search for clues, choose paths, and ultimately, solve the mystery of Selene’s true identity. Along the way, they experience everything from feeding a vampire from their wrist to using their “telekinetic” powers to launch a vampire 20 feet into the air, courtesy of impressive wire stunts. Delusion, which is fully sold out for the season, stands out both for the quality of production and for the degree to which it immerses guests in the experience. Virtual reality is a trend which is spreading like wildfire throughout the attractions industry, so it only makes sense for entertainment designers to incorporate the technology into a haunted attraction—much like the Creepy Hollow Haunted House in Rosharon, Texas. This is a compound-style haunted experience that integrates three different attractions. Once guests are inside the compound, they’re not allowed to leave. Voted the scariest haunted attraction in Texas, what truly makes this Creepy Hollow stand out is their Virtual Reality Zombie First Person Shooter Game. Walking into a dark area armed with headgear and zombie-lethal pistols, guests can hear virtual zombies coming from all directions. Creepy Hollow is leading the way in what we predict will become an increasingly popular trend in future Halloweens – blending technology with real-life haunt attractions for maximum fright impact. Rated one of America’s scariest Halloween attractions by the Travel Channel, Halloween terror can’t get any more realistic than this. Set in an actual defunct prison, Terror Behind the Walls takes participant interaction to a new level. Guests can opt to take the “Hex Challenge,” in which they must hunt for clues in six secret rooms throughout the six haunted attractions. There are two levels of interactivity: guests can either observe or mark themselves for full hands-on interaction with the staff. Eastern State Penitentiary has always been said to be haunted and has been the subject of many recent paranormal and ghost-hunting documentaries and television shows. Characters in this haunted attraction are liable to grab guests, separate them from their groups, and even force them to participate in the main events. The attraction is comprised of six different areas, ranging from a lockdown scenario to a hack and slash in the prison Machine Shop. For VIPs, there’s the option to visit a Speakeasy in Al Capone’s cell. Terror Behind the Walls stands out for both the authenticity of the setting and the sheer scale of its integrated storyline. For an automated user experience, the Derailed Haunted House in Ramer, TN allows guests to manage the flicker of lighting and strobes for each room—giving them the penultimate control over their own experience. Additionally, guests can dial-in to “maximize” or “minimize” the scares depending on their temperament. This type of technology makes the Derailed Haunted House the first of its kind—an attraction that allows the user to control their level of fright. As the backstory goes, “An aspiring young farmer—Steven Pike—and the railroad company had a real problem… and now it’s yours…” The introduction of customization elements is exciting, and offers insights into how the haunted attraction industry is going to offer increased personalization. Described as “one of the closest things you’ll ever experience to being in a horror movie,” Creep in Los Angeles is slowly becoming one of Southern California’s main attractions. Guests are invited to enter the mind of conflicted artist Erebus Burwyck, who disappeared from the public in the early 70’s—then lose themseleves in a world of twisted art and all-consuming terror. The narrative focuses on his art as a medium to explore the darker side of humanity, which is an engaging hook. Creep is a show which is a fully-immersive and interactive experience featuring strobe lights, loud sounds, and foggy atmospheres. Groups of eight people make their way through the show, which runs up to ninety minutes without a break. As the disclaimer on the website states, “This performance is not recommended for audience members who are not comfortable being alone.” Creep is interesting for its cinematic framing and the focus on delivering a small group, interactive experience. Much like Creepy Hollow in Texas, Fear Factory in Salt Lake City features a virtual reality set-up which allows guests to slay zombies. The attraction is housed in Salt Lake’s Industrial district, and blends scary experiences with more traditional adventure activities for added value. Extreme attractions also include a “Last Ride” zip line and the “Fear Fall” falling attraction. The Fear Factory centers around creating a unique user experience which is both immersive and terrifying. The backstory includes George Howe, a coal crusher from the 1800s, who was sucked in by a machine on the premises and has never left. 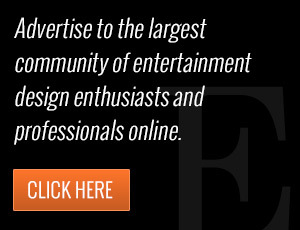 Fear Factory stands out for pushing the boundaries on what’s possible with a haunted attraction. When guests want more than 30 minutes of scares, integrating a wider range of activities into the experience is a great way to deliver more value. 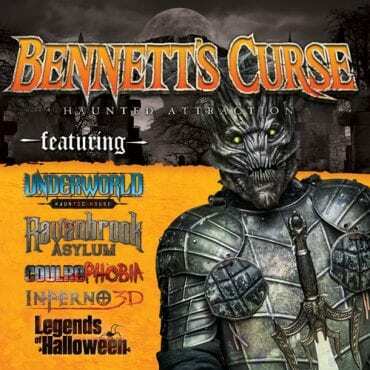 Bennett’s Curse in Baltimore, MD is the largest haunted house in the Mid-Atlantic region. Considered one of the most highly detailed haunted houses in the world, Bennett’s features giant monsters in the Underworld Haunted House and a labyrinth of dungeon cells. Highly interactive, the Inferno 3D attraction promises an experience of visual terror and fiery excitement. As they clearly state on their website, “This will be the closest to hell you’ll ever experience.” The term “haunted house” has taken on a whole new meaning in 2016 as attractions across the states are focusing on a user experience, rather than a 2-dimensional scare. According to the Haunted Attraction Association (HAA), interactivity, virtual reality, and blackout experiences are the hottest trends for 2016. Guests can now be leaders of their own destiny, rather than just watching scary things happen. What haunted attraction are you most excited about this season? Let us know in the comments below.